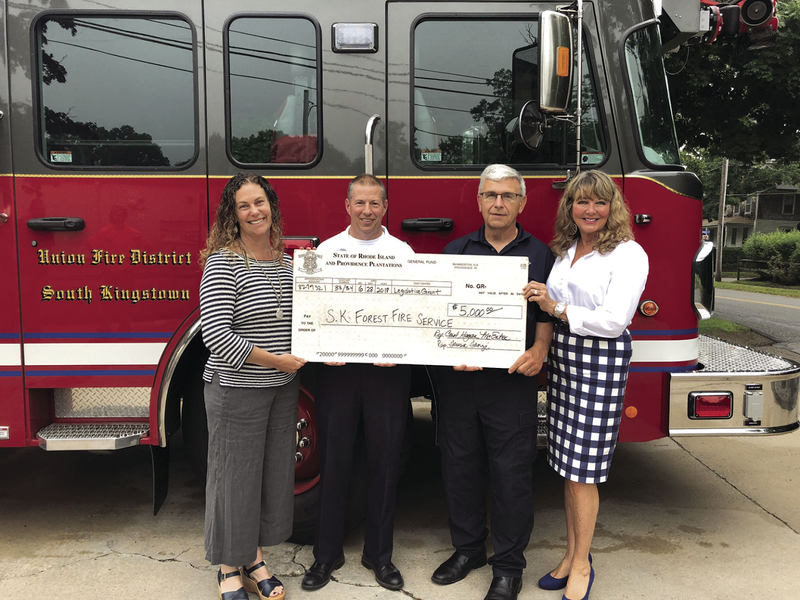 SOUTH KINGSTOWN – Local legislators have secured a grant to improve firefighter safety in South Kingstown. Dist. 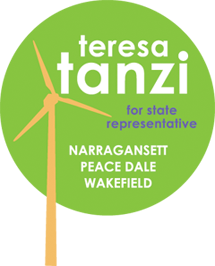 34 (South Kingstown, Narragansett) Representative Teresa Tanzi, and Dist. 33 (South Kingstown, Narragansett) Representative Carol Hagan McEntee and Dist. announced the new funds in a joint press release this week. The $5,000 legislative grant received by the South Kingstown Forest Fire Service for the purposes of purchasing new safety equipment. The new equipment, Blitzfire portable monitors, will help combat heavy fires with the initial application of large water volumes to allow firefighters positioning while fighting large blazes. The device, according to the press release, can also be used to protect exposures. In a statement, McEntee touted the volunteer efforts of the South Kingstown fire fighting branch. “The SK Forest Fire Service protects us all and it is an honor to help them secure a piece of equipment that will protect those that selflessly protect our community, especially since they are an all-volunteer fire department and I want to thank them for their service to our community,” said McEntee. McEntee added the need for the equipment and resulting grant arose after a member of the Forest Fire Service approached the pair of legislators. The legislative grant represents another recent instance of government securing funds to ensure firefighter safety, as in July, U.S. Senators Jack Reed and Sheldon Whitehouse and Congressman Jim Langevin announced $218,000 in federal funding to the Narragansett Fire Department, also for the purchase of new equipment. Tanzi said in addition to protecting the firefighters from especially ferocious fires, the new Blitzfire monitors could also help minimize impact to affected property. “It provides critical protection to property owners and the first responders, a true win-win, and I was happy to work with Rep. McEntee to make it happen,” Tanzi added.